These are not your average nachos. In fact, they’re hardly nachos at all. There are no corn chips in site, there’s no gauc to be found and chili powder is the last thing you’ll ever find on the ingredient list. Yet, dare I say it, these may be my most favorite not-nachos nachos ever! They are seriously epic of the most epic proportions! And YOU GUYS! They’re so easy to make! Like you could make them in your sleep, or a 5 year old could make them while you nap (J/K! You should never let your kids go unsupervised in the kitchen!) and you could most definitely make them while drinking wine and hanging out with friends. Heck, you could even get your friends to help you make them because really, they’re just that simple. Check out more of Alessi Food’s Italian goodness by following them on Facebook, Instagram and Twitter. 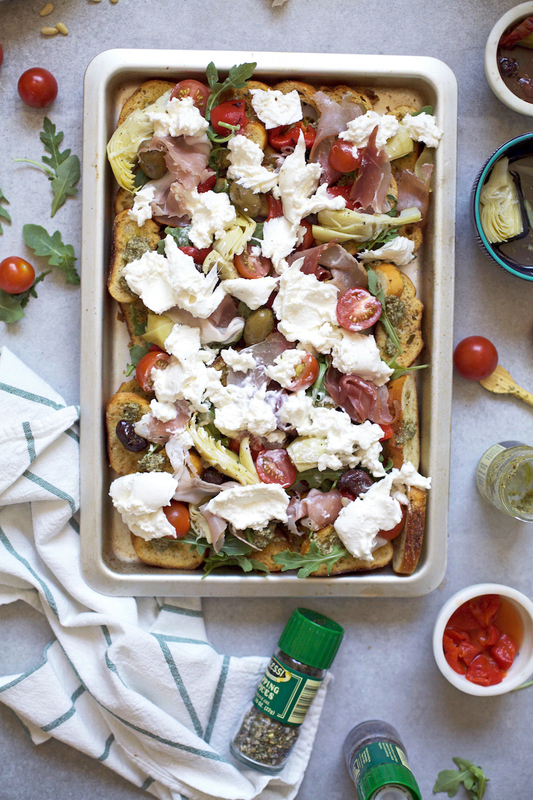 On a large serving dish or plate (I like to use a baking sheet), spread out the crostini. Drizzle liberally with olive oil. Then, spread on the pesto. Add on the remaining toppings. You can do them in any order you prefer, but I like to start with the arugula, then add on the chunkier things (artichoke hearts, peppers, olives, tomatoes) and finish with strips of prosciutto strategically placed on top. 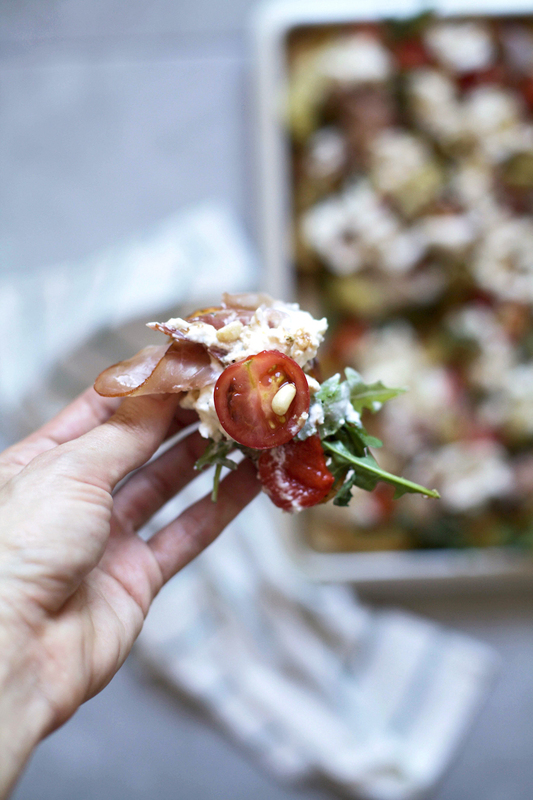 Lastly, I finish with the burrata, spreading it out to distribute the creamy cheese evenly over all of the toppings to imitate the melted cheese of traditional nachos. 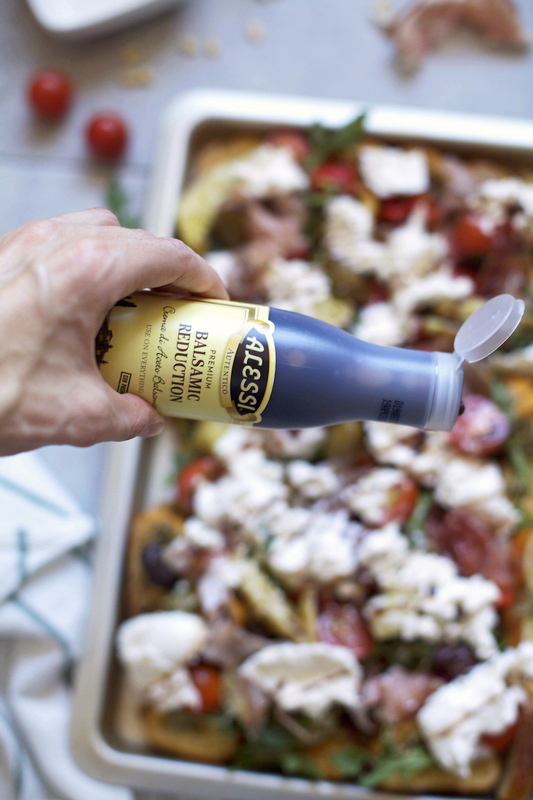 Finish everything off with a generous drizzle of balsamic glaze…the more the better! 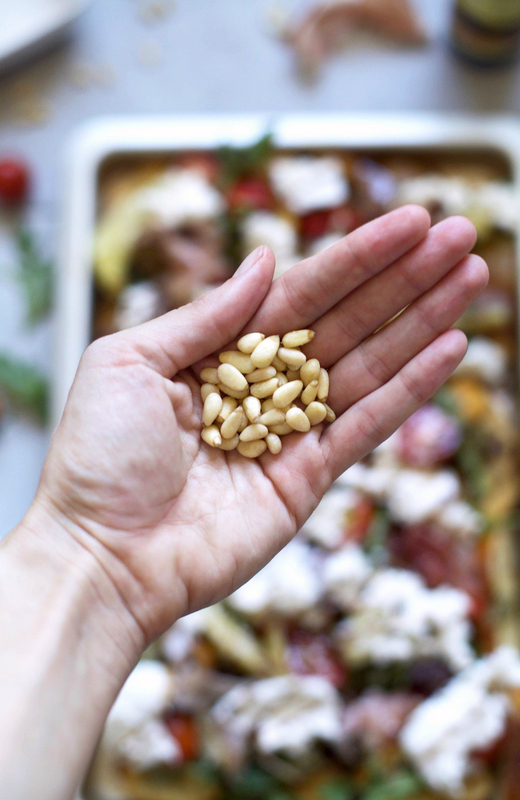 Sprinkle with pine nuts and season with fresh ground pepper as well as Alessi’s Dipping Spices (So good!). Serve immediately (Preferably with some wine!). Feel free to adjust the amounts of toppings to your preference. You can easily do more or less of, or eliminate altogether, whatever you choose. This recipe can also easily be doubled or tripled, making it great for large gatherings or parties. 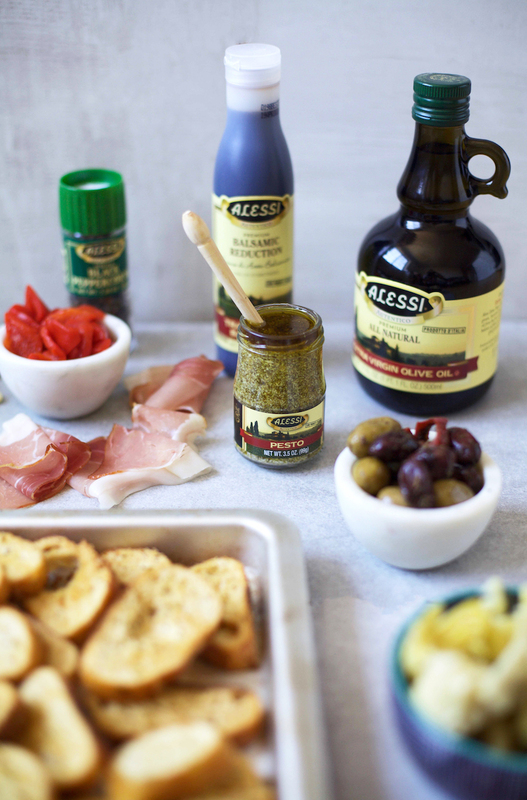 Thank you to Alessi Foods for partnering on today's post.